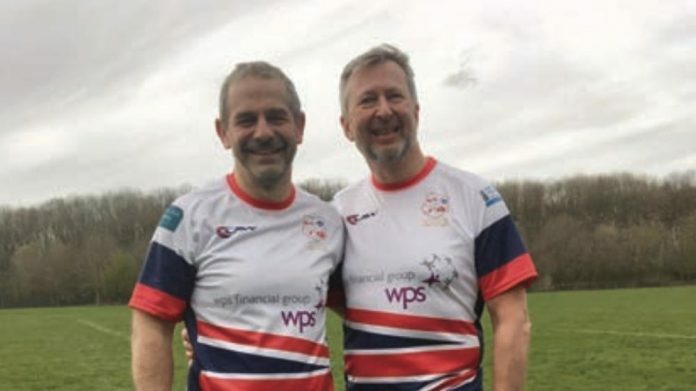 Eurocoin director, ColinVeitch, will be flying the flag for the country later this month following his selection for the Great Britain Men’s 50s Touch Rugby squad which will compete with 27 other nations at the 2019 Touch World Cup which is being held in Malaysia. Having celebrated his 60th birthday in November, Veitch is the oldest member of the 16-man squad that will compete in temperatures in excess of 30 degrees centigrade and 90+ percent humidity. Reflecting on his call-up and the distinction of being the ‘senior’ member of the squad, he told Coinslot: “To get the call-up was amazing and to represent GB is a dream come true. My wife Linda said that she’s never seen me so excited when I received the invitation to be part of the World Cup squad and that includes our wed- ding and the birth of our children! It’s a double honour for ‘Team Veitch’ with daughter Suzy, a fully qualified physiotherapist, also linking-up with the squad as their Lead Physio and First Aider, having recently been based in Singapore. It’s certainly going to be a baptism of fire, with GB facing favourites Australia followed by games against New Zealand, Japan, Singapore and Ireland. The World Cup, which will feature more than 2,500 players, runs from April 29-May 4 in Kuala Lumpur.